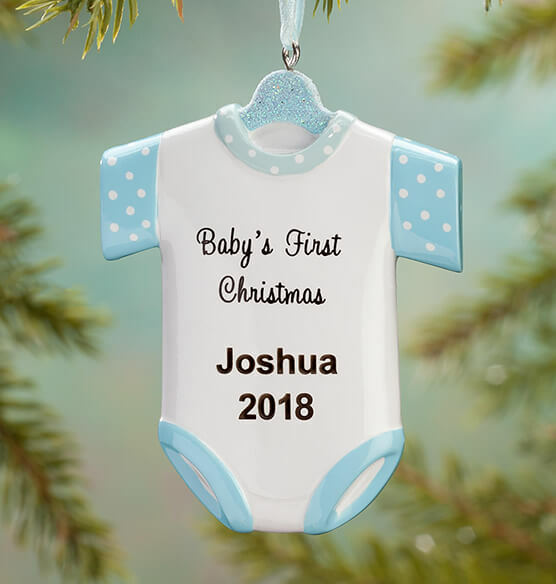 This adorable onesie is extra sweet when personalized for ONE little bundle of joy, celebrating one special first Christmas! 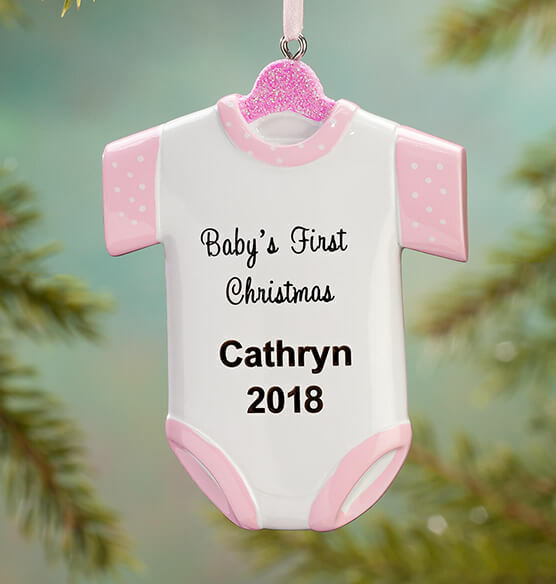 Graced with pink or blue polka-dot trim and matching glittery hangers, our personalized "Baby's First Christmas" onesie ornament is pre-printed with "Baby's First Christmas". We'll add Baby's name and one memorable year, creating a keepsake gift new parents will treasure. Specify color: pink or blue. Specify name; limit 1 line, 12 letters/spaces. Specify year; limit 4 characters. Resin. Christmas ornament measures 2 1/2" wide x 3 1/4" high.